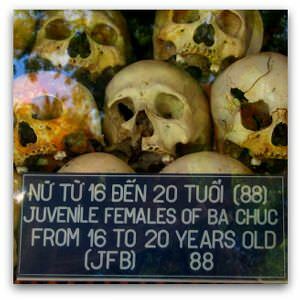 The crimes of the Khmer Rouge are well known. Between 1975 and 1979, Pol Pot's regime of 'Democratic Kampuchea' turned Cambodia into a 'land of blood and tears' — a vast agrarian social experiment that enslaved the population and led to the deaths of an estimated 1.7 million Cambodians. After nearly three decades of legal impunity, justice is finally catching up with the surviving Khmer Rouge leadership. Following six years of negotiations between the UN and the Cambodian government, the Extraordinary Chambers in the Courts of Cambodia (ECCC) was established in 2006, with the hope that 'the senior leaders of the Khmer Rouge and those most responsible for serious crimes' would finally be held accountable. But for all its noble rhetoric, the ECCC is plagued with problems. The 'mixed' (joint UN-Cambodian) tribunal is beset by ballooning budgets and the proceedings continue to crawl along at a glacial pace. In January, the ECCC revised its budget upwards to US$169.7 million — up from an original $56.3 million — and pushed back its expected finishing date until the end of 2011. Meanwhile, wages for 200 Cambodian employees of the ECCC have not been guaranteed beyond the end of April. So far, just five leading Khmer Rouge have been arraigned by the Phnom Penh court, and the proceedings have yet to move beyond a series of lengthy pre-trial appeals. The first trial, that of Khang Khak Iev — the former head of the Tuol Sleng torture prison in Phnom Penh — is scheduled to begin in July, finances pending. On 3 April, the Australian government announced it will donate $500,000 to the ECCC, but even after meetings with ECCC officials in New York, the major donor nations are dragging their feet. According to reports, the countries providing the primary funding for the trial — Britain, Germany, Japan and France — are hesitant to commit more money to a trial process that some fear is under the political influence of the Cambodian government and its ruling party, the Cambodian People's Party. The ECCC presides under the auspices of Cambodia's judicial system, and some donors have cited irregularities in the hiring of key officials, with certain posts going to suspiciously under-qualified candidates. Similar misgivings were expressed by Amnesty International after the UN-Cambodian agreement establishing the tribunal was signed in June 2003. Due to the 'precarious state of Cambodia's judiciary', Amnesty argued, the UN General Assembly should 'make the improvements necessary to bring [the tribunal] agreement into line with international laws and standards'. For Amnesty, no trial was preferable to a 'flawed' one — a noble sentiment, but one that disregarded political constraints, not to mention the advanced age of most of the defendants. Unless donors follow through on their commitments to the tribunal, there's every chance that the defendants will be dead before the ECCC has a chance to bring them to trial. Pol Pot — 'Brother Number One' — evaded justice by dying in mysterious circumstances at his jungle headquarters in April 1998. In 2006, the one-legged Ta Mok — nicknamed 'the Butcher' for his ruthless purges — died in prison awaiting trial. Of the current defendants, former head of state Khieu Samphan suffered a stroke on the eve of his arrest in November last year, and Ieng Sary, former foreign minister of Democratic Kampuchea, was admitted to hospital with heart problems. Nuon Chea, Pol Pot's second-in-command and the regime's chief, is pushing 83 years of age. Whatever the flaws of the ECCC and the Cambodian judiciary, both represent the last chance for real justice in Cambodia. The continued functioning of an already sluggish trial process is undoubtedly more important than a few minor quibbles over the court's staffing practices. As American lawyer Gregory Stanton argued in 2003, the real 'enemy of justice' in Cambodia is a well-meaning but misdirected legal purism, which, if heeded, would only give succour to Cambodia's culture of legal impunity. Better to have justice at the expense of flawless legality than flawless legality at the expense of justice. With time and money running out, the ECCC no longer has the luxury of both. Tribunal spokesman Helen Jarvis said in March that 'it is hard to imagine that the court can continue to function without funds'. Donor nations — if they wish to give the ECCC its greatest chance of success — should heed her warning and commit themselves financially, or else the country's culture of impunity looks set to continue. Sebastian Strangio is a writer based in Phnom Penh. He blogs at Like Pulling Teeth. Recent articles by Sebastian Strangio. Kevin Rudd's China visit is proceeding brilliantly. But by announcing Australia's interest in a Security Council candidacy to the UN Secretary-General, he may have shown his hand before Australia is able to undo the damage the previous government did to our reputation in the UN.